This blog was supposed to go out right after the new year, but, hey, where do the days go! At least it is not February already. Still, I hope you all had a good Christmas and New Year and are ready for 2017. A pattern for my lace jacket, part of my collection at the Wool Week fashion show. 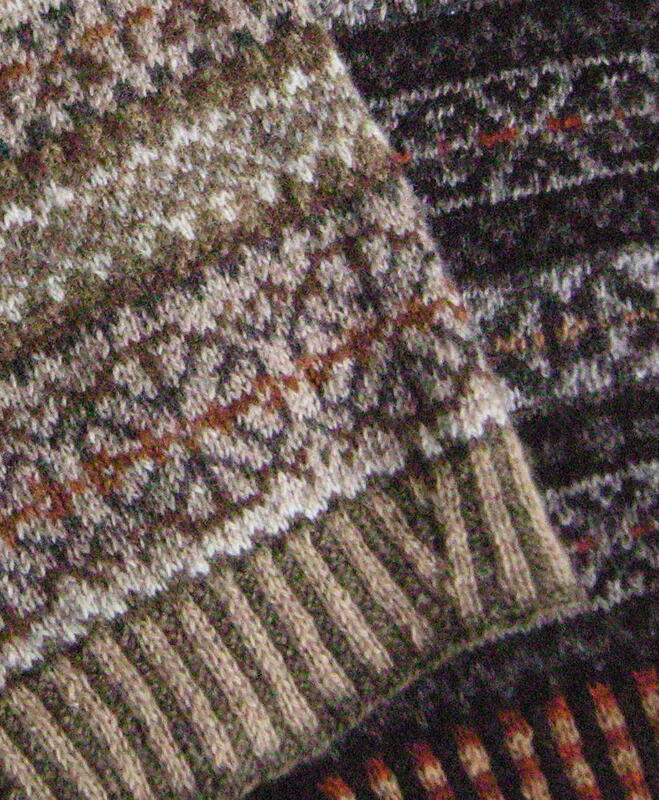 I have promised it will be available at the Edinburgh Yarn Festival in March. Helping Hazel Tindall with a new DVD, exciting. It should be ready in the spring, - title still to be decided. 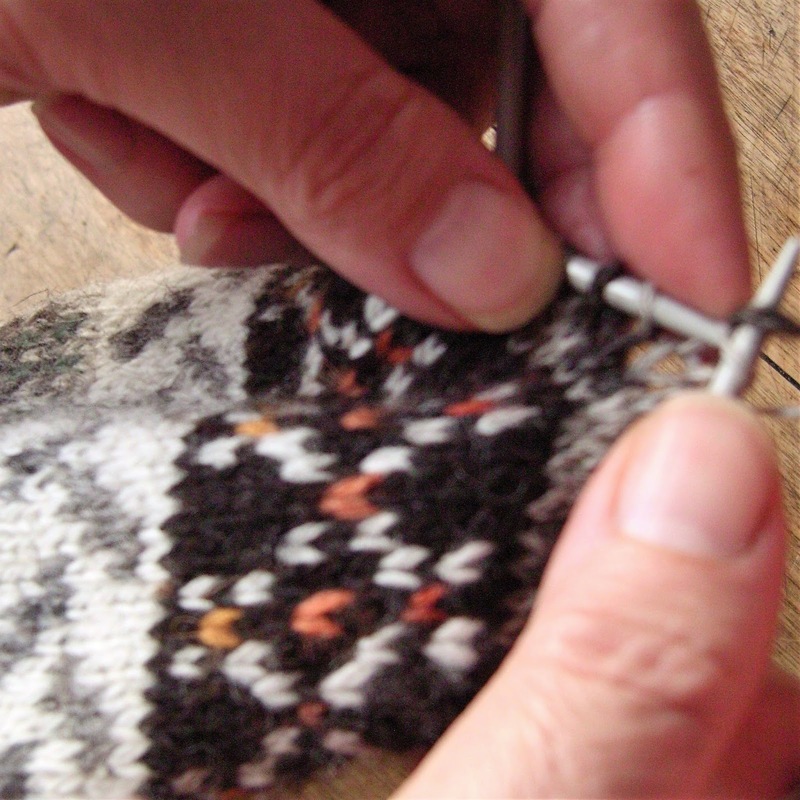 Planning classes for Shetland Wool Week 2017 - classes need to be submitted to the committee by the 31st January. There have been lots of emails and phone calls between Niela and I and our tutors - and we are nearly finished. 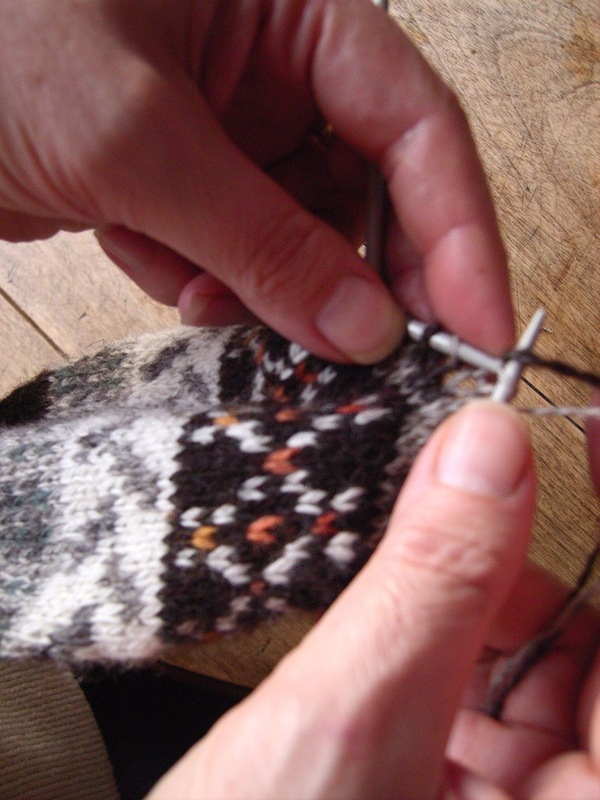 Work on Wool Week is never ending, it seems to go on all year! But it is worth it. 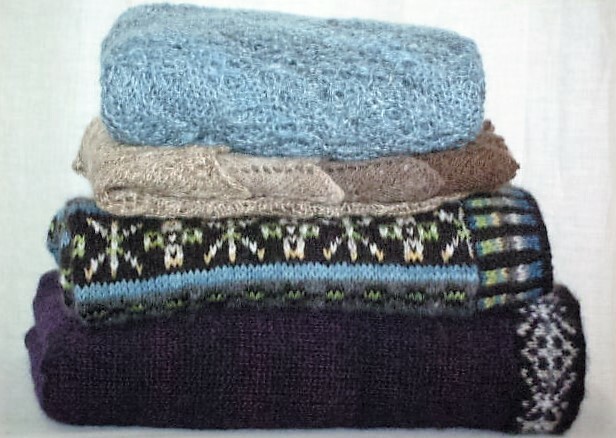 I have been working on planning a Shetland Ooie (woolly) Weekend. Planning for that to happen with Hazel Tindall, Anne Eunson and myself as tutors, for 25th and 26th of February. I should have a blog on that done over the weekend. So, how much spinning has been done this year so far? well, I have to admit the answer is none. I will have to rectify that very soon. Before we get any further into 2017 I have to catch up on 2016. 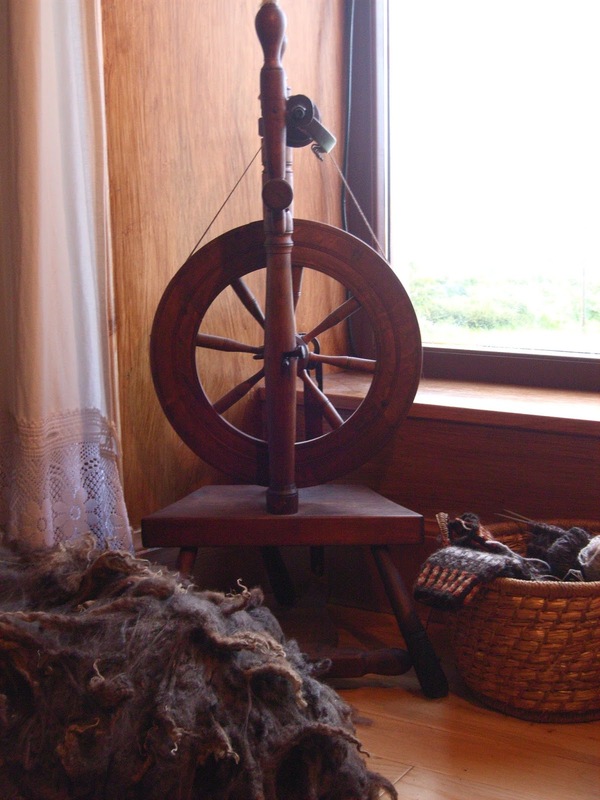 The summer ended with very little yarn or knitwear in the studio, so the priority before Wool Week and the Craft Fair was, as well as keeping up with orders, to spin some yarn at least. I did get yarn spun and even did some dyeing, but also updated my FI Toorie and Dags patterns to included some other Shetland yarn. Photos of those now need to go up on a blog. Wool Week was wonderful as usual, so good to see so many now familiar faces, and meet some new wookweekers too. A new addition this year was a fashion show at the opening. Those taking part needed 4 or 5 pieces each, and I did just find 5 pieces and as you all know, for me they all have to be in my handspun yarn. Lunklet - the lace layered jacket that I am writing a pattern for, was just finished, and a perfect piece. 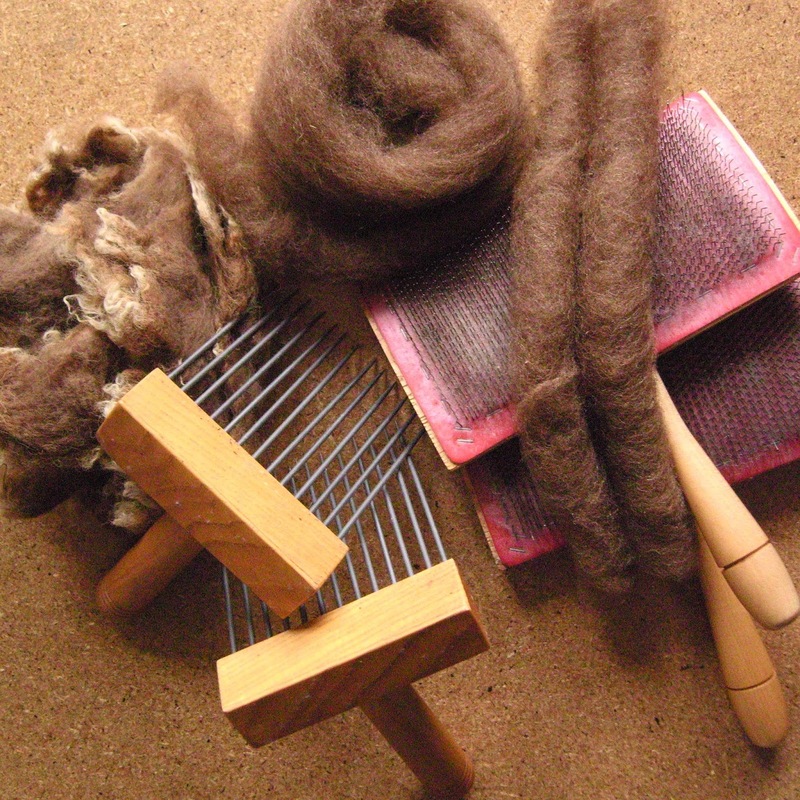 Layers in different natural moorits and fawns with the top in a light moorit and tussah silk yarn. I borrowed a shawl from a customer. 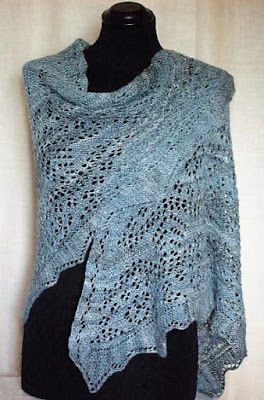 It had been her wedding shawl, a fine lace shawl in Tussah silk and Shetland charcoal. So nice to see it again but a bit frightening to have it in case I damaged it. I kept it with me, put it on the model as she went out and took it back as soon as she left the hall. 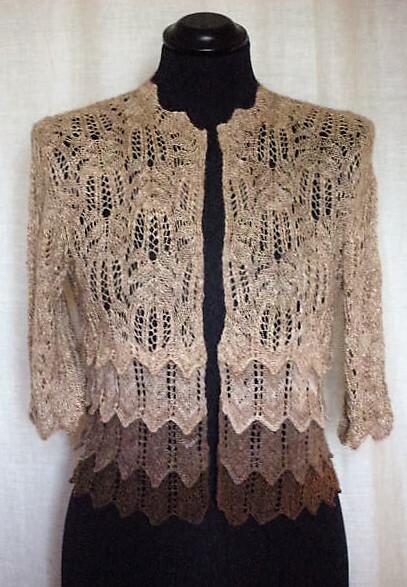 I still had it with me when I was at J&S to teach a lace class through the week, and, one of the girls in the class asked if I had the shawl with me? She had been walking on a beach on the back of Bressay the previous day and had met Maureen, the shawls owner. How the conversation got to the shawl I dont know but it did, and Maureen said - ask her if you can see it. So at the end of the class, out came the shawl for everyone to see. There are always coincidences like that here in Shetland, a small-ish place where lots of people know each other, and we often stop to talk to people, especially on a deserted beach. 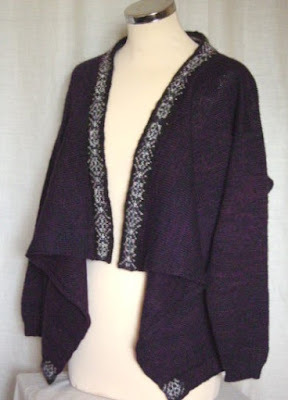 I still dont have a photo of the shawl though, perhaps I should rectify that. I had a new shawl of my own. Alpaca, silk, cashmere, white black and indigo blues, spun from a top which had been a gift. Not my normal fibre, but I love it, and it is mine - blue, my favourite colour. 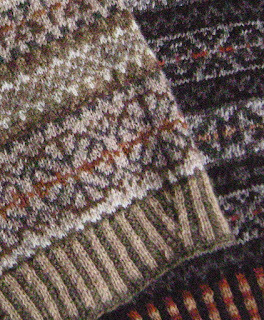 I had a Fair Isle allover to show, colours picked by a customer and luckily ready just in time to be included and then mailed off to its owner, Different colour combinations than I would have chosen, but I did love the result. My last piece, made new for the show, was a design I had wanted to do for some time, and would mean I had one garment in stock. 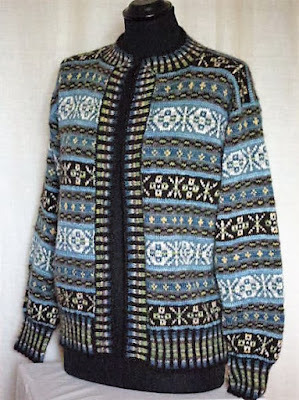 I might write a pattern for this too, at some point. I had enough purple yarn, just enough.It was dyed with cochineal and over-dyed with indigo but leaving spots of the cochineal pink showing through. 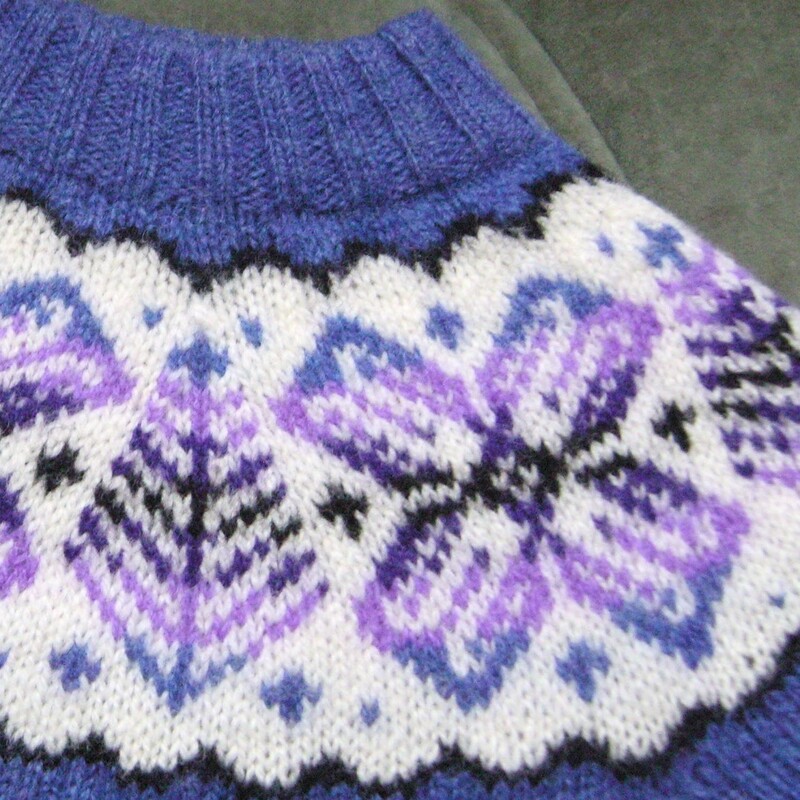 I knitted the plain part on the knitting machine and handknitted the Fair Isle. 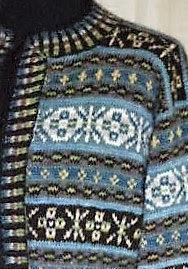 The FI detail round the collar which extended down the fronts had a stripped backing in all the colours used. 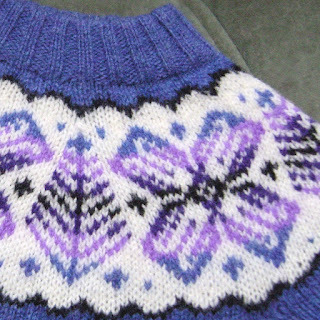 The small Fair Isle accent at the corner of the ribbing an added little extra. 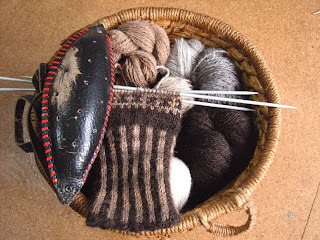 That started off a great Wool Week and the rest of the week seemed to go so quickly, somehow it always does, probably because I plan too many workshops for myself. I always try to keep some free time but often that just gets used up. I did have one completely free evening when myself and 2 Dutch friends had diner at the museum and then went to the talk on Estonian Mittens. This was a collaboration between 3 weavers, Hildur from Iceland, Marta from Norway and myself (I weave a little, and love this loom), and Osteroy Museum in Norway. 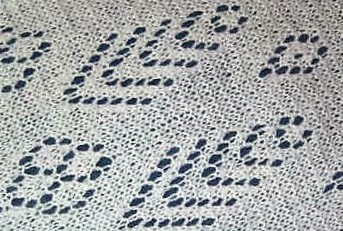 The book offers a history of the loom in Iceland, Norway and Shetland, but most importantly instructions on weaving on the loom. Thanks to Randi and Atle for all the editing, and to the Ingvild Øye, Michèle Hayeur Smith, Katherine Larson, Carol Christiansen, Lena Hammarlund and Sigridur Sigurdardottir for their contributions. The launch was in Bergen on 15th December, an exciting and enjoyable 3 days, to finish our 5 years journey together. That ended 2016, a year full of woolly adventures. Now I am working on making 2017 just as good. Hope to see some of you through the year.